Hellllooooo! It's been a while since I've done a weekly wrap-up (or any kind of wrap-up) and I'm so glad to be back. Not to get all dramatic but...did you miss me??? On Friday I joined the 30 Authors in 30 Days movement with a great piece by the author David Vann, be sure to check it out! 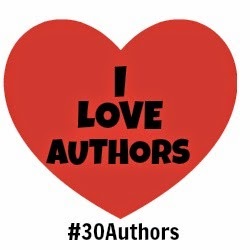 Don't forget to follow along on Twitter with the #30Authors hashtag. The last time I did an update of what I've been reading it was to wrap-up the month of June. (Way to stay on the ball, Jen!) Not only was this summer the summer of almost no books it was also the summer of no blogging. I'll just let you know the last few books I read, cool? Cool. I'm very much enjoying this book even if I'm not finding the time to really dig in. I need some sort of reading only vacation. By myself. 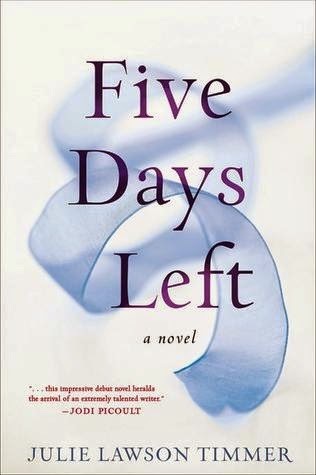 I have my eyes on Five Days Left by Julie Lawson Timmer. I've heard it's a tear jerking read and I'm a total sucker for those. I'm not alone in slumpville! Kim, at Sophisticated Dorkiness, talks about her reading/blogging slump here. Want to know what to pick up in paperback this month? Shannon has you covered! Check out the great list on River City Reading. I've been hearing great things about Madame Picasso by Anne Girard. My pal Jennifer is giving away a copy at Book-Alicious Mama. Good luck! We had a nasty hail storm here on Thursday morning. Dimples are cute on cheeks but not all over my car. Know what's less cute? The big ol' cracks in the windshield. Hello? Insurance company? Let's get this claim started. But hey, it's just a car. No one was hurt and all is well. The kidlets have started another year of school. The boy is a JUNIOR and the girl is a FRESHMAN and I guess that means I'm an old lady? (Not to mention the elder girl being all in her early 20s and really making me feel ancient.) I've started another semester of University of Wisconsin Online. Wish me luck! It's been so long since I've chatted with you and I feel like I could yap forever. But I'll shut my trap now. What were your last weeks of summer like? What do you have coming up? What's going on in your neck of the woods? Tell me in the comments! So glad to see you're back! Between your accident and this hail business, your car has been through some craziness recently, huh? I really hope the new semester goes good for you and the slumpies come to an end because FALL READING. The car situation here has been stupid, lol. When I had my accident the car ended up being totaled out. So we bought this one. JUST BOUGHT THIS ONE and now it's headed to the shop, lol. Crazy I tell ya! Fall reading is my absolute favorite and I'm so looking forward to it! Nice to see you back! I've been through some crazy reading slumps--it happens, but I wish I could figure out the best way to haul myself out of it when it does. Lots of amazing-sounding fall releases out there, so hope that helps. I sent off a high schooler and a middle schooler last week--old children, old-feeling parent, yay. Good luck with your own school! Does that cut into your reading time?! Hi Leila :D Slumps are the worst. I think my schooling is what first screwed me up and then I was out of the habit. Not fun at all darn it! Oh these old kids! They're making me feel ancient lately, lol. Hail is so the worst. All it takes is 30 seconds to do some major damage. A person in their 20s is definitely NOT allowed to speak of age, lol. Hail, ugh. I should really have someone come take a look at the house too. We just replaced our roof this summer. Next on the agenda is to have the house resided/put in new windows. I should see if there is any chance of insurance helping out with that! Nice to see you! I've been crazy the last few weeks. I hope to post soon and get in a routine. I was more attached to the summer than I realized. Usually by second week of school, I'm ready to go, but this year I'm just wishing for summer to magically reappear! 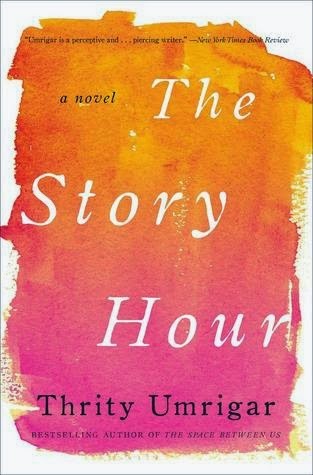 I recently won The Story Hour, can't wait to read it. And my slump is exhaustion induced. I come home from school and just want to sit or nap. Ugh, hope I snap out of it soon! You're here! I think you gave me your busy-life-induced slump. Happy to see you posting again :) and YA GO PACK (you must have gone to either the Oakland or KC preseason game?) and ON WISCONSIN! Good luck with your fall semester! Haha. You're so dramatic. ;) Welcome back! I have very similar bookless summers. Oh, no. The hail did all of that damage? :( Yikes! I'm glad you had a great summer, though! Welcome back! Is it common in your area to have hail in September? I'm just not ready for summer to end! Good luck with your classes! Are you taking anything fun? I am not having a reading slump this year. Not yet, anyway. Last year was horrible! BUT, I am lacking time to write reviews and it's getting to me. I have to spend some time this week getting reviews written or there is no hope that I will remember all of the books I've read. Welcome back! We missed you! But it sounds like you've been having fun - and life is more important than blogging, anyway. I'm sorry to hear about the damage to your car; I hope the insurance company covers it. Have a great week, and enjoy getting back to classes and into the swing of things! My oldest is 20 now ... it makes me feel old just to say it out loud. :-) Are your two teens still homeschooling? Isn't Lakshmi in The Story Hour such a great character?! Oh my goodness, how I would love a reading vacation by myself! I think. I wonder if we got to have one if we'd really get tired of being alone?